"While some jazz singers are content to simply emulate their idols, others are striving to be distinctive. Niemack is definitely an example of the latter. From inventive scatting and marvelous interpretive abilities to an abundance of soulfulness, "Night And The Music" confirms the fact that Niemack is one of the most exciting jazz singers going. When the improviser digs into Oliver Nelson's "Stolen Moments" and Monk's "Well, You Needn't," it's obvious that she isn't going for pop with jazz overtones — she's a jazz singer in the truest sense. 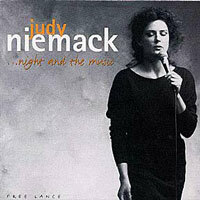 Niemack can be stunning on ballads, as she demonstrates on Gordon Jenkins' "Goodbye" and Bill Evans' "Turn out The Stars." ...... this album is superb."